Is It Time for Additional Inbound Lines? Is your business growing? It may be time to add phone lines to expand your business even more. Consider these questions to see if your company is ready to add an extra phone line. 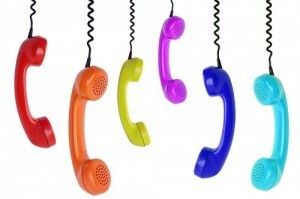 Are there enough phone lines for everyone working at your business? While it’s likely that not everyone needs a dedicated phone number, there comes a point that additional lines are necessary so that employees are not waiting for an open line before making a call. If your employees are delaying calls while waiting for a line, consider the type of experience this creating for customers and vendors. Adding extra phone lines can boost the caller experience and reduce employee down time by equipping them adequately. Are callers getting a busy signal or no answer when they call your company? When customers take the time to call but are greeted with a busy signal or no one answering the phone, callers likely aren’t left with a good first impression. Having enough phone lines, extensions, and features of a virtual phone system ensure that calls are always professionally answered. Setting up your auto attendant can help significantly by guiding callers to the member of your team best able to handle their call. As your company diversifies to meet the needs of different types of clients or offers a different product or service mix, extra phone lines can be useful. The additional options can serve as a pre-screening tool, so that the new lines are dedicated to your company’s new offerings. Are you starting a new marketing campaign and need to collect metrics? Having phone numbers that are assigned to specific marketing campaigns will help you to easily track the efficacy of your marketing efforts. For example, you could assign one phone number specifically to direct mailings and another for use on billboards. Have you been seeking strategies to boost your company’s image? The addition of a vanity number can give your business a reputation boost. They help callers remember your phone number and give the impression that your company is large and well-established. It may also be time to consider a toll-free number to encourage callers from outside your local area to reach out to your company. Adding local phone numbers in key area codes can also be helpful and help you seem established in new markets, even if your company headquarters are located elsewhere. Does your existing phone service come with a contact management system? Contact management can help you and your team quickly and easily see who is calling and access a variety of information about the caller that your staff has gathered during past calls. If any of these questions have resonated with the status of your company, it may be time to add an additional line from a service like Halloo. A cloud-based phone system like Halloo is affordable and easy to use, making it the ideal way to readily add an extra phone line to your business, and get additional communication tools at the same time. Click or call to learn more. This entry was posted in Small Business, Virtual Phone Systems by Heather. Bookmark the permalink.